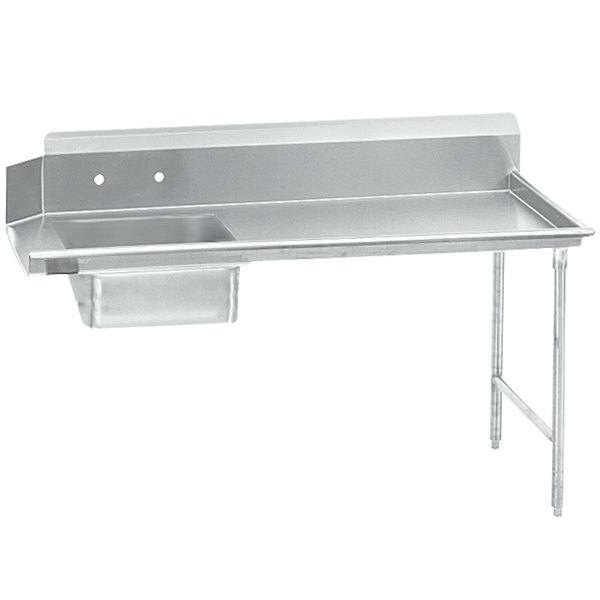 Improve efficiency in your dish room with this Advance Tabco DTS-S70-96 8' standard series stainless steel dirty dishtable! This dishtable features a durable gauge stainless steel top and 5" deep sink bowl, and a 10 1/2" backsplash with 2" return and tile edge is included to protect your walls and enable easy installation. 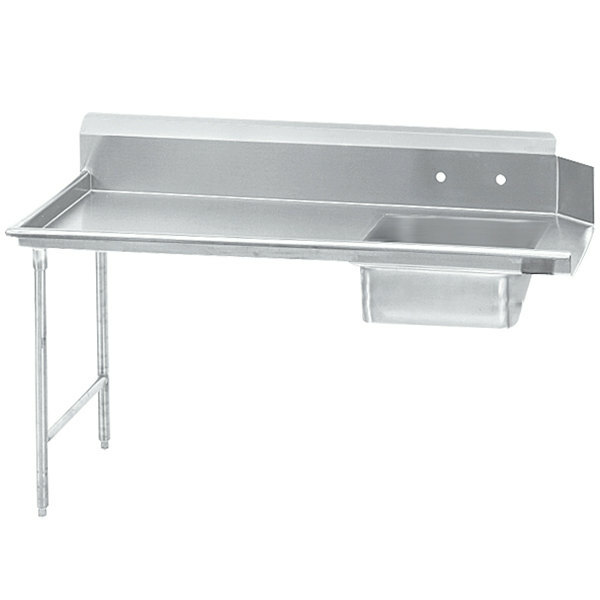 The backsplash also has holes punched on 8" centers to accommodate a faucet (sold separately), while 1 5/8" diameter stainless steel legs with welded cross bracing provide support for the whole table. Additionally, its stainless steel gussets are welded to a support channel for added reliability, and all welds are blended with the surrounding surfaces for a clean presentation. Height (including backsplash): 44 1/2"